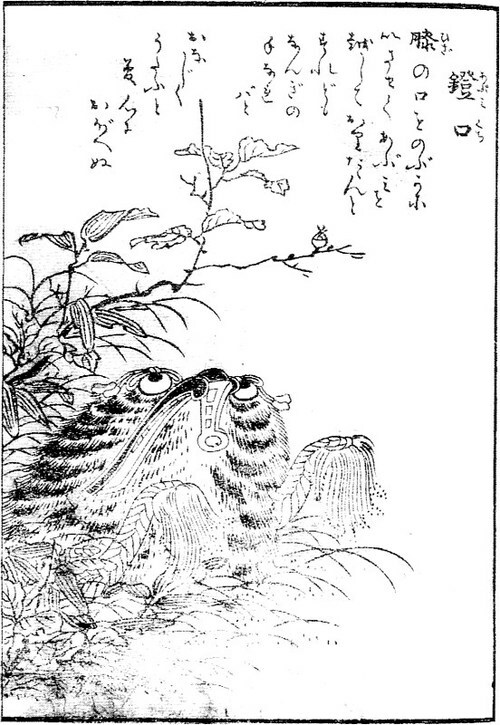 Description: A furry tsukumogami formed from a stirrup that once belonged to a fallen soldier. The abumi-guchi are very loyal. They will stay forever where they fell, waiting for their master, the fallen soldier, to return. Mab’s Eye View: A cousin of mine stepped on one of these while walking across an old battlefield. Fell face first in…well, I won’t describe what he fell in, but let’s just say they use that field for pigs. The thing clamped onto his foot, and he couldn’t shake it off. Still walks funny to this day. I tell you. Stay away! November 28, 2013 in Mab's Handy Guide to Surviving the Supernatural.